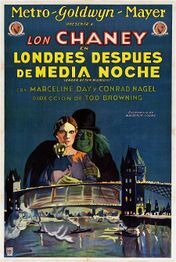 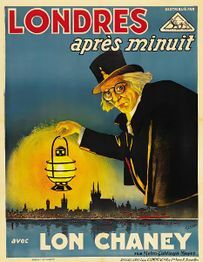 Theatrical Poster for London After Midnight. 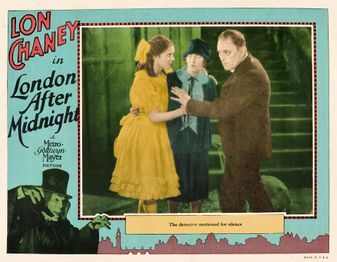 London After Midnight is a 1927 silent horror/mystery film written by Tod Browning (Dracula, Freaks) and starring Lon Chaney (The Hunchback of Notre Dame, The Phantom of the Opera). 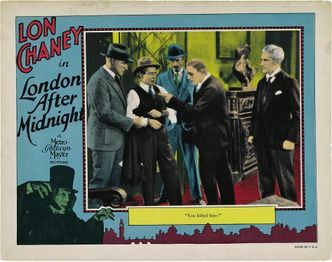 The film is an adaptation of The Hypnotist, written by Browning as well. 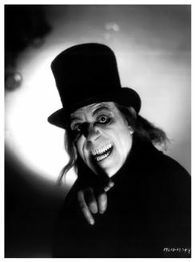 It is also one of the last major films to star Lon Chaney before his death on August 26, 1930. 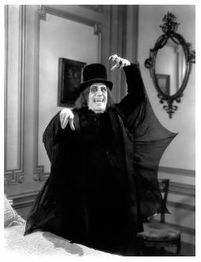 A remake of the film was produced by Browning in 1935 titled The Mark of the Vampire. 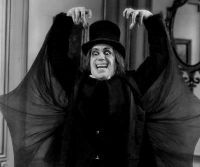 Lon Chaney as 'the Stranger', shows off his frightening wings. 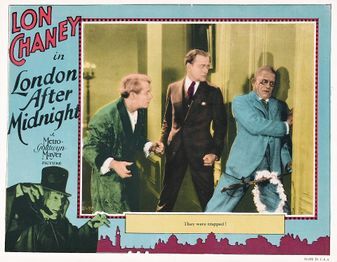 Sir Roger Belfour, the head of a luxurious mansion, is found dead alongside a suicide note. 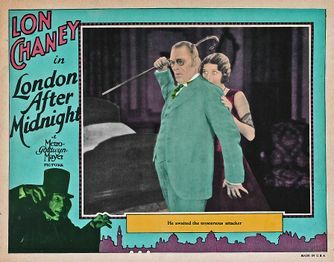 Professor Edward Burke (Lon Chaney) is placed in charge of investigating the incident. 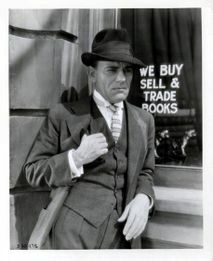 Sir James Hamlin, Belfour's neighbor, was the last to see him alive. 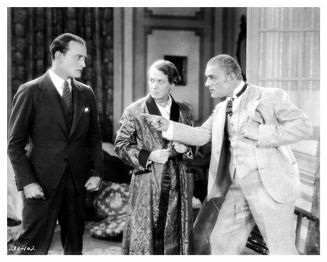 Naturally, Burke questions him and Belfour's butler, Williams. 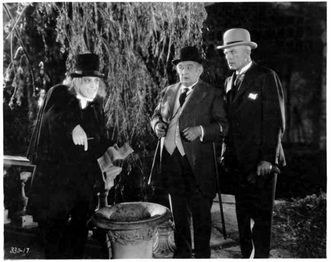 Burke's questioning leads him to suspect Arthur Hibbs, Hamlin's nephew. 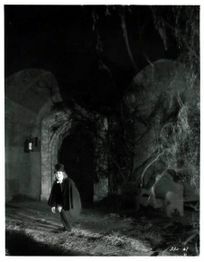 Five years later, the mansion has become dilapidated and is now a subject of ill omen. 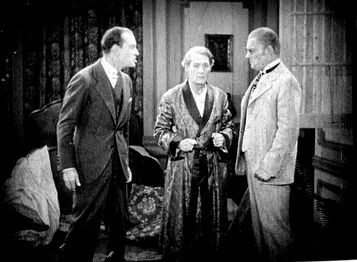 The mansion is now occupied by an eccentric old man who goes by the name Roger Belfour and a ghostly woman, renting from Hamlin. 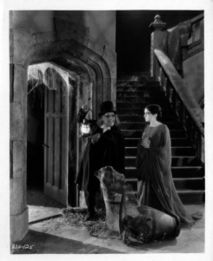 Professor Burke is once again drawn to the house to investigate stories of vampires residing within. 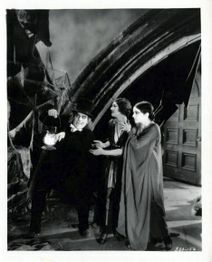 Unbeknownst to the others, the man is actually Burke in disguise. 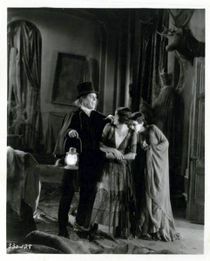 With the use of hypnosis and a fake setup of vampires, Burke tricks Hamlin into revealing that he was the one who murdered Sir Roger Belfour five years before. 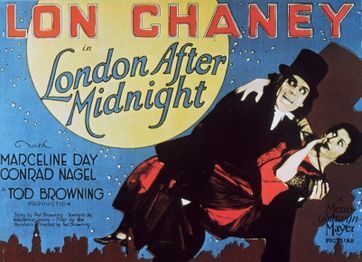 London After Midnight was shown at The Capitol in New York City on December 11 and ran for approximately 65 minutes. 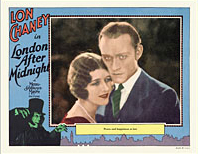 Variety criticized the actors for being mostly uninteresting and also predicted that the film would sell solely on Lon Chaney's name. 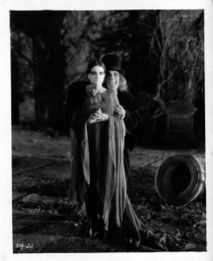 Despite these critiques, the film was met with moderate success. 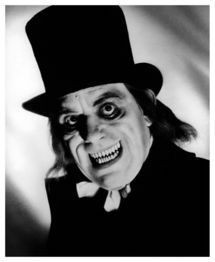 Modern critics praise Chaney's makeup work as the creepy old man. 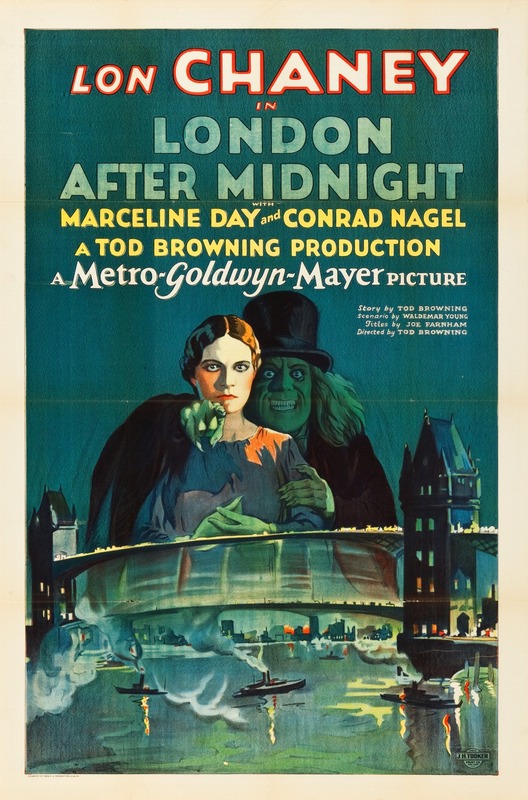 The only known copy of London After Midnight is believed to have been destroyed in a large fire that supposedly occurred in the MGM Studio in 1965 in Vault 7. 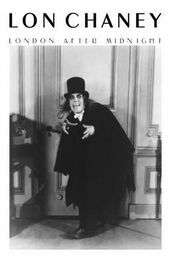 Verifiable information is difficult to find on the event, and it is still debated about amongst classic film fans to this day. 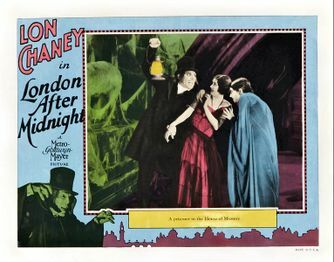 What seems to be commonly accepted is that the fire was caused by a combination of an electric spark and the nitrate film base used in the older film. 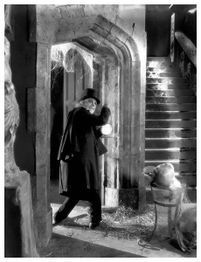 Nitrate film base decomposes into a gas that is just as flammable, making it a likely cause for extreme fires. 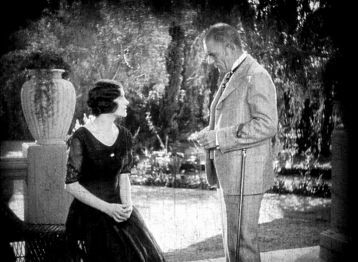 Several other films may have been lost due to the same fire such as A Blind Bargain, and The Divine Woman. 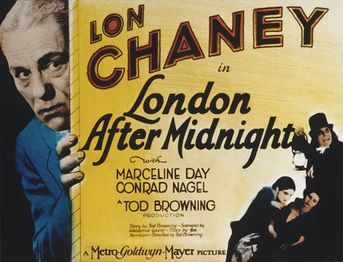 It is noted that MGM began making more of an effort to preserve its films around this period, potentially confirming that a fire may have occurred around that time. 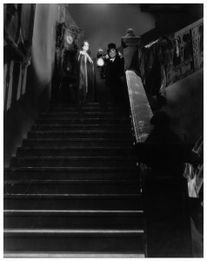 A reconstruction of the film was assembled by Rick Schmidlin, a well-known filmmaker and film archivist, using over 200 still shots and a complete script. 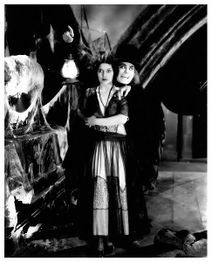 The film/slideshow is accompanied by an entirely original score from composer Robert Israel. 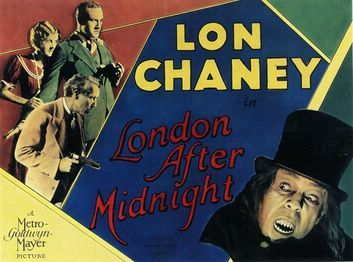 This reconstruction was aired on the television station Turner Classic Movies on August 15th, 2002 as part of their tribute to Lon Chaney. 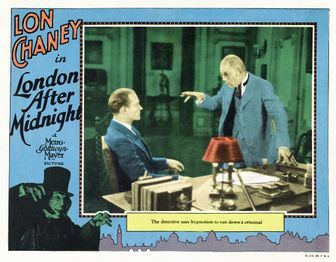 The reconstruction is also included on the Lon Chaney Collection DVD set.